Model, beauty queen and humanitarian Halima Aden's life cup is overflowing with Gaia's bounty. 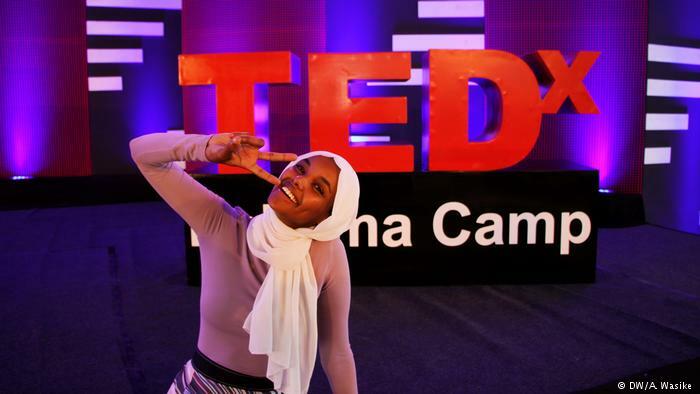 "I was the first Muslim homecoming queen at my high school, the first Somali student senator at my college, and the first hijab-wearing woman in many places, like the Miss Minnesota USA beauty pageant, the runways of Milan and New York fashion weeks, and even on the historic cover of British Vogue," she explained in a recent (but not yet posted) TED Talk she gave at Kakuma Refugee Camp in Kenya — another first, both for her and for TED, as it was the first talk streamed from a refugee camp in the program's history. But the visit also held a special significance for Halima, as it marked the first time she had returned to Kakuma after moving to the United States at age 7.